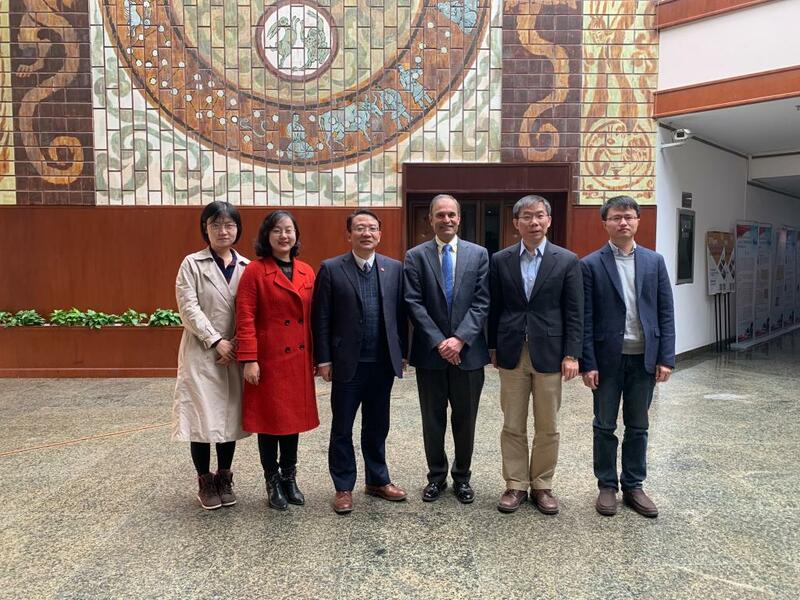 On March 21, 2019, Dean of the Case School of Engineering at Case Western Reserve University (CWRU), Venkataramanan “Ragu” Balakrishnan, visited XJTU. XJTU Vice President Xi Guang met with Dean Balakrishnan in Room 107 of the XJTU Science Hall. Vice President Xi Guang welcomed Dean Balakrishnan and introduced the history, student development, key disciplines and XJTU programs for international students and particularly, the development and construction of the Innovation Harbor. He expressed the hope that both universities would seek substantial cooperation in student exchange, staff communication and innovative research. Dean Balakrishnan introduced the history, teaching philosophy, research ability, key disciplines and campus facilities of CWRU. He said that CWRU would expand interdisciplinary cooperation with XJTU in key disciplines on the basis of existing cooperation to achieve complementary strengths.